A suicidal on-call psychiatrist who was involved in a serious car crash has been ordered to pay nearly £2,000 after he failed to provide a drink-drive specimen. Chesterfield magistrates’ court heard on Wednesday, January 10, how Deepak Sirur, 44, over-turned his Volvo on Lea Road, at Cromford, and during treatment he pulled his arm away during a blood test to obtain a drink-drive specimen. Prosecuting solicitor Lynn Bickley said: “A single vehicle road traffic collision was attended by police. A Volvo had overturned blocking the road. Mrs Bickley added that Sirur appeared intoxicated and needed help to stand and his speech was slurred. Sirur provided a provisional roadside breath test reading of 155microgrammes of alcohol in 100millilitres of breath, according to Mrs Bickley, when the limit is 35microgrammes. But when police attempted to secure a necessary blood test specimen at the hospital Mrs Bickley said that Sirur appeared to be drifting in and out of sleep. She added that once blood was being taken Sirur pulled away causing the needle to come out of his arm and it nearly hit a police officer. Sirur, of Holmfield Road, Leicester, pleaded guilty to failing to provide a drink-drive specimen after the incident in September. The defendant told police he has been struggling with mental health difficulties and serious dark thoughts and he had been driving around and had stopped for something to eat and had a glass of wine. He revealed he had been on-call that evening and he had been heading to a call-out request at Buxton police station when the collision happened. Sirur admitted he had been contemplating jumping off something or committing suicide and after the collision he said he had drunk some vodka. Defence solicitor Steve Brint said Sirur has been struggling with the pressure from work and has had suicidal thoughts and he has been undergoing treatment. Mr Brint added that Sirur’s crashed car had slid quite a distance and had been close to going over a 10ft drop into the River Derwent. He claimed Sirur had pulled his arm away with an involuntary action when blood was being taken and it had not been a deliberate action. The court also heard that Sirur has been signed-off with pay but he has not been suspended while his fitness to practice is being considered by the General Medical Council. 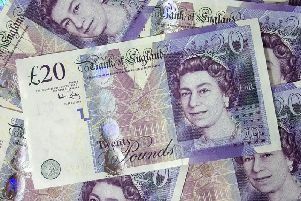 Magistrates fined Sirur £1,722 and ordered him to pay a £170 victim surcharge and £85 costs. He was also disqualified from driving for 18 months but if he completes a drink-drive rehabilitation course this could be reduced by 19 weeks.